Lionsgate revealed the teaser poster for ‘Mockingjay Part 1’ which features the Mockingjay logo seen at the end of ‘The Hunger Games: Catching Fire’ movie. Check out the series of teaser posters from ‘The Hunger Games’ movie to ‘The Hunger Games: Mockingjay Part 1’ below. Lionsgate announced back in July last year that there will be two films for Mockingjay and its release dates in USA. 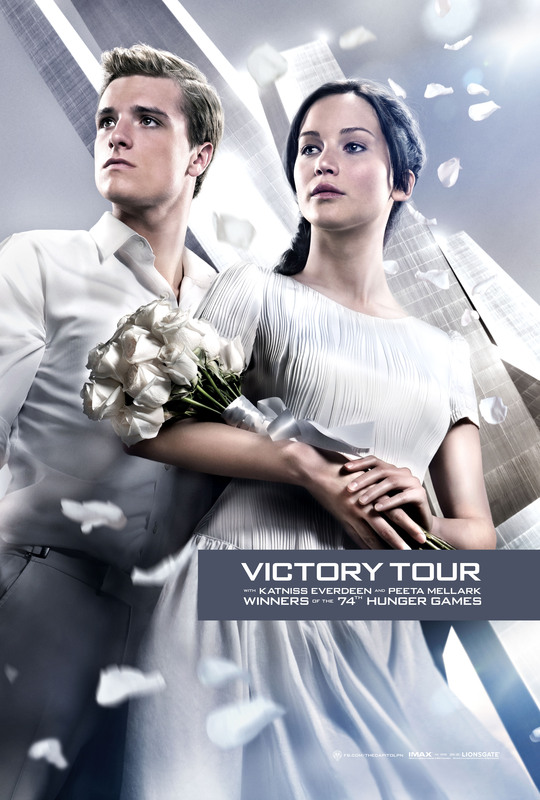 New posters released together with the commencement of Victory Tour! With 9 exact months to go till the official release of Catching Fire in the US, The Capitol PN has tweeted about the commencement of the Victory Tour and the poster. 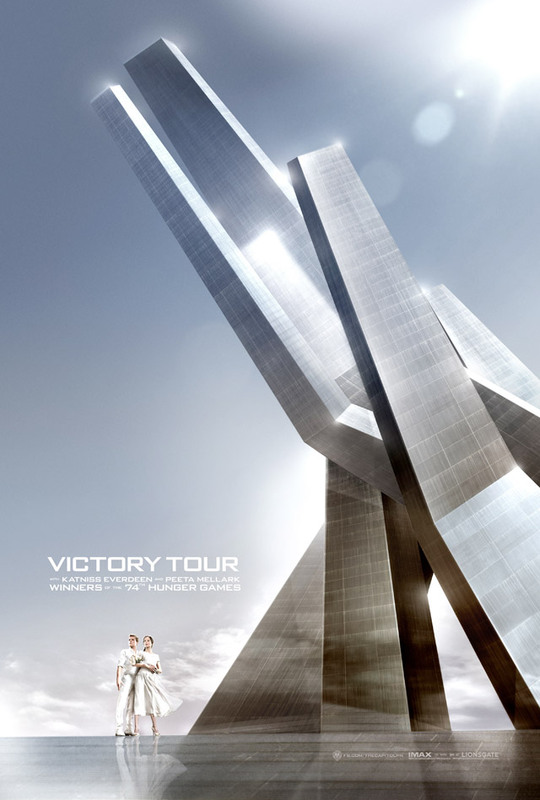 PANEM ALERT: President Coriolanus Snow is pleased to announce this year’s Victory Tour, featuring Katniss Everdeen & Peeta Mellark – Victors of the 74th Hunger Games! The Capitol PN demands that all districts prepare accordingly. Inquire with your local district officials for further instructions. Updated with extremely high resolution (4050×6000) version of the poster below! This poster is released on Hitfix. Interesting isn’t it? Well. I am certainly glad to see promotions to start so soon on Catching Fire! 😀 Below are a few points i have noted from the posters. (Which is absolutely my own, and do not represent the site as a whole.) MIGHT be spoiler-ish. The white roses in my memory seems to be connected to a certain person in the series. Wonder if that would be why it is placed there? Judging from the photos that we have seen of the set, it certainly doesn’t seem like this set of clothes that Katniss was wearing. Would this also mean that they are going to rope in the individual district mayor, Facebook, Twitter? The Hunger Games DVD and Blu-Ray are now available. 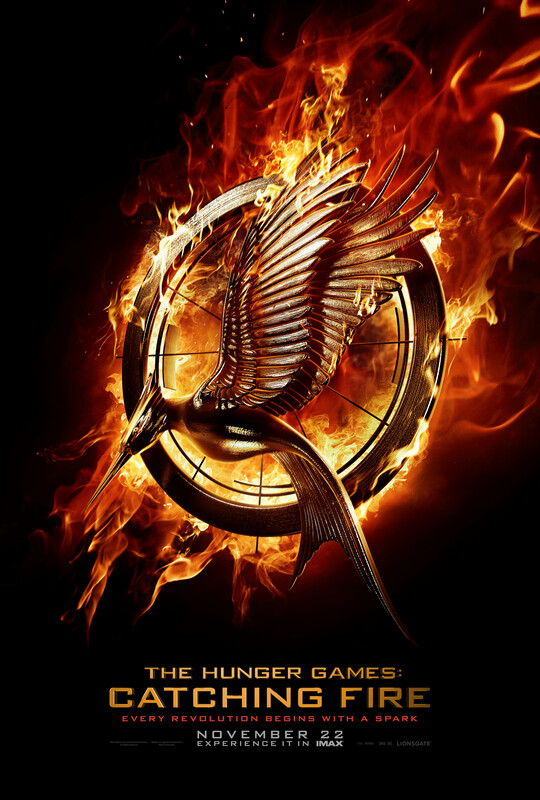 “The Hunger Games: Catching Fire” is scheduled for release on 22 November 2013 in USA. Credits: Hitfix via The Hob, Down With The Capitol. The Capitol PN Facebook via Twitter. Twitter. 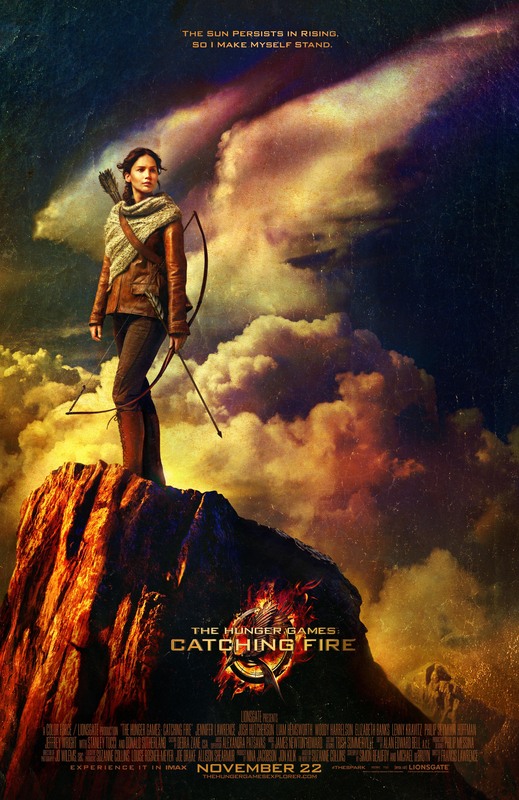 Lionsgate has revealed ‘The Hunger Games: Catchng Fire” poster exclusively on The Hunger Games movie franchice official Facebook fan page. Check it out after the jump. Hopefully we can expect to see it on display in Cathay Cineplexes (Cathay-Keris Films is the official local distributor for The Hunger Games movie franchise) soon! What do you thini of this teaser poster? Is it what you expected? Leave a comment below and tell us what you think! Remember our post on “The Hunger Games: Catching Fire” logo that was revealed? Lionsgate has unveiled “The Hunger Games: Catching Fire” logo in the form of a motion poster yesterday on The Hunger Games official Facebook page. As a special thank you to all the Hunger Games fans, 12 lucky winners chosen at random from the Facebook page will be featured in the end credits of the film. Winners will be announced when the Facebook page hits 12 Million Total Fans. Fans are being encouraged to spread the word online by sharing the motion poster and entering to win the chance to be a part of The Hunger Games franchise forever! How do you enter this contest? Unfortunately, it appears this contest is only open to U.S. residents. *Not required but we strongly recommended you to do so and let all your friends experience “The Hunger Games: Catching Fire” motion poster too! Visit www.catchingfirelogo.com to check out the amazing “The Hunger Games: Catching Fire” motion poster and stand a chance to leave an imprint on The Hunger Games franchise now! “The Hunger Games: Catching Fire” logo appears to be displayed before a movie screening which possibly could be ‘The Twilight Saga: Breaking Dawn Part 2’. 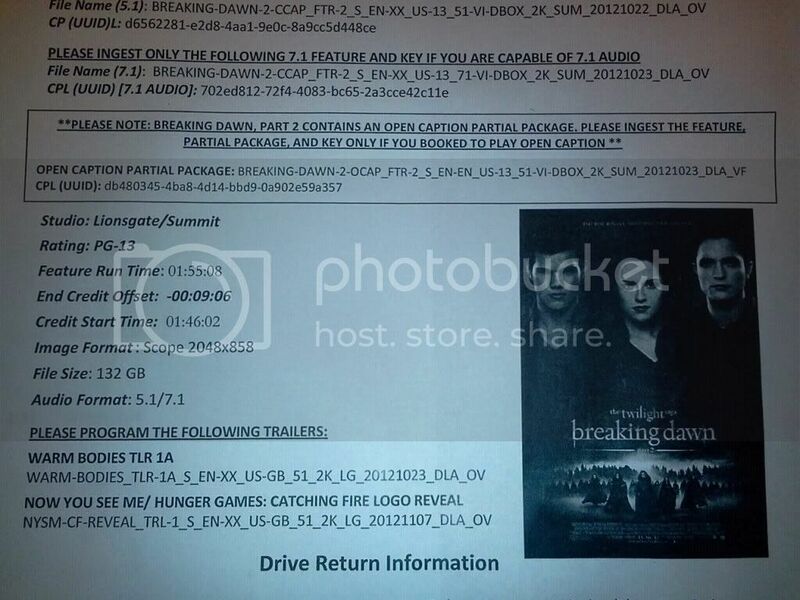 A photo (pictured below) of a notice first found on Tumblr seems to be sent to cinema vendors listed ‘The Hunger Games: Catching Fire’ logo titled “Now You See Me” to be displayed before the movie screening of ‘The Twilight Saga: Breaking Dawn Part 2’ which is owned by Summit Entertainment, which is under Lionsgate who owns The Hunger Games franchise. 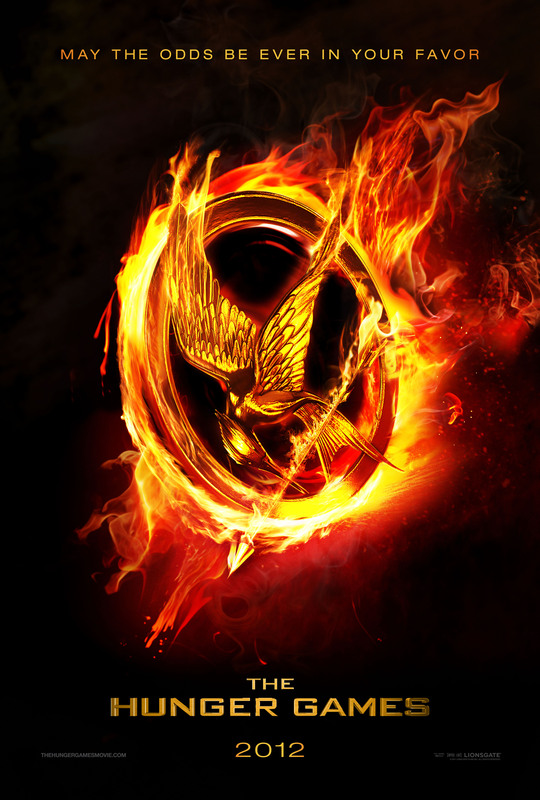 The logo starts off with the familiar haunting music and the Mockingjay burning into appearance which is alike The Hunger Games motion poster. However, the Mockingjay then transforms as if it’s poised and about to take flight before ending with the tagline “Every Revolution Begins With A Spark” and the familiar 4 note whistle. 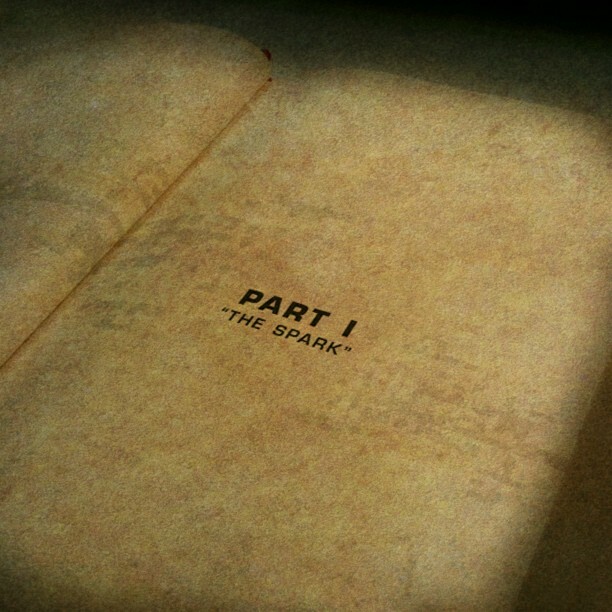 It also encourages you to tweet #TheSpark hashtag on Twitter. 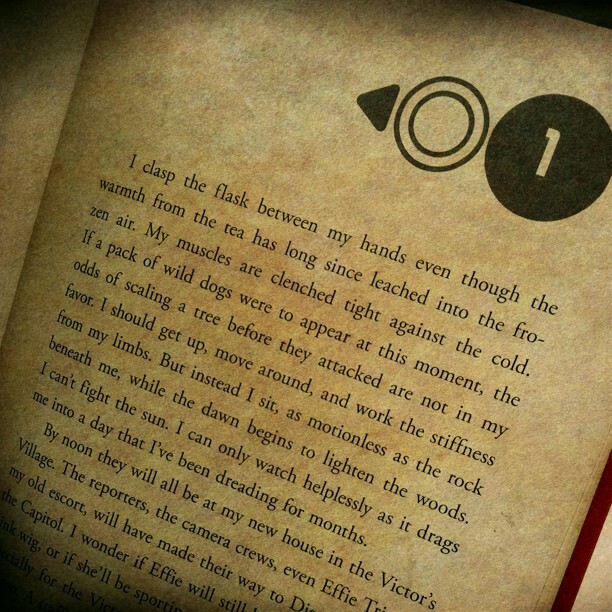 Without further ado, check out ‘The Hunger Games: Catching Fire’ logo in GIF created by Tumblr user! What do you think of this logo? Tell us! Photo via The Hob via Tumblr. This month, as we prepare for the release of The Hunger Games movie, Hunger Games fans are taking action to help fight hunger in the real world. 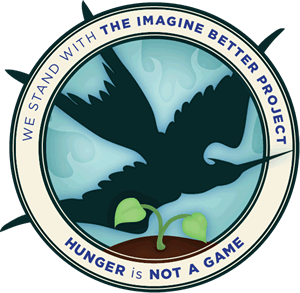 We’re teaming up around the world to help The Harry Potter Alliance’s Imagine Better Project with their campaign, Hunger is NOT a Game. Just like in District 12, there are lots of people around the world who don’t have enough to eat every day and who struggle to get by because of forces they can’t control – war, famine, and unjust laws. But we can do something about it! Just like Katniss, we won’t just sit by and watch it happen. We will take our fight directly to the Capitol itself to try to change our world’s perspective on hunger and eradicate it for good! For the next month our friends at the Harry Potter Alliance are running the Hunger is Not a Game campaign so that we can all help with this issue – whether it be running a food drive at your local movie theater for the midnight release, signing Oxfam’s GROW pledge, or spreading the word about this important issue. 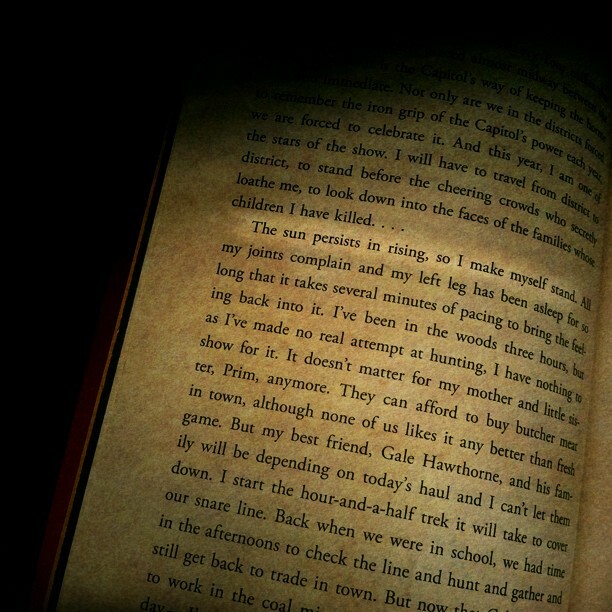 You can join the campaign by visiting the HPA’s website: http://thehpalliance.org/imagine-better/hunger-is-not-a-game/. Together, we can stand up against the Capitol and get rid of hunger for good! Another way to help end hunger would be to play English vocabulary games at Free Rice. For every answer you get it correctly, they will donate 10 grains of rice through UN World Food Program to help end hunger. We couldn’t think of a better way to expand your English vocabulary and yet help end hunger at the same time. The Hunger Games cast, World Food Programme and Feeding America are in too! World Food Programme is also giving away 5 signed posters by the three main cast of The Hunger Games movie and all you have to do is to just visit World Food Programme and answer the Hunger quiz correctly. Don’t forget to donate too! Meanwhile, remember not to waste your food and take lesser than what you need during meals such as buffet. You can always take more after you have finished eating those on your plate. The food you are wasting away could save someone else’s life. We had previously reported the first set of tracking records indicate “The Hunger Games” could open bigger than “Twilight” in USA box office sales. New set of tracking record is in and Lionsgate marketing is evidently working for The Hollywood Reporter reports experts are now predicting “The Hunger Games” could possibly open bigger than “Twilight: Breaking Dawn Part 1” US $138.1 million debut back in November 2012. This is certainly great news for do keep in mind when “Twilight: Breaking Dawn Part 1” was released, it had already established its fanbase which is unlike “The Hunger Games” where it’s the first movie of what could be the launch of a new franchise. 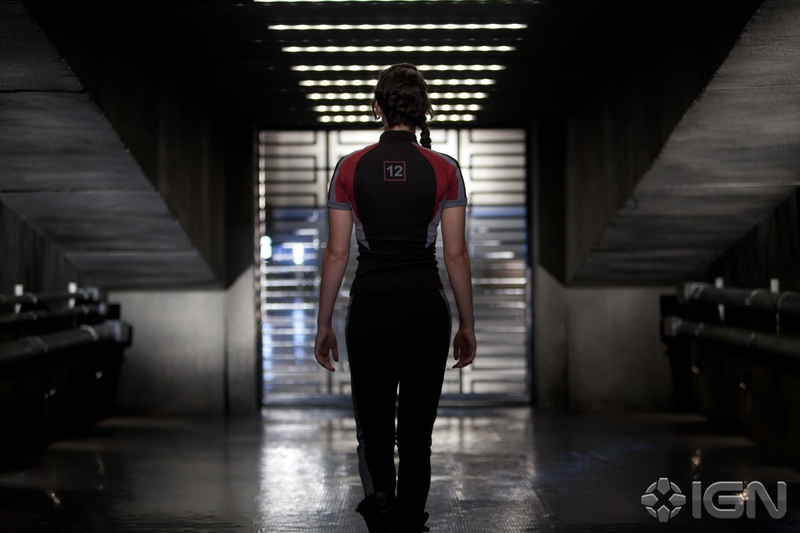 Hunger Games, which opens March 23, is even tracking better than The Twilight Saga: Breaking Dawn Part 1. That film opened in November to US$138.1 million, the fifth-best debut of all time domestically, but had the advantage of bowing the weekend before Thanksgiving, when some kids are out of school. Box-office observers say it’s difficult to predict exactly how much Hunger Games will make, offering a more conservative estimate of US$100 million to US$120 million. They say it’s difficult to predict a number when tracking becomes this big and a film gets into the US$100 million-plus range. Hunger Games certainly has a shot at taking the crown for best March opening from Alice in Wonderland, which debuted to US$116.1 million in 2010. Tracking data released Monday showed definite interest in Hunger Games jumping from 55 percent to 60 percent in the past week, awareness went from 75 percent to 83 percent, unaided awareness from 14 percent to 21 percent and awareness from 75 percent to 83 percent. Interest among younger women in Hunger Games is now at 45 percent, compared with 36 percent for Breaking Dawn. Among female over the age of 25, interest is 29 percent, versus 27 percent for Breaking Dawn. One advantage that Hunger Games has over Summit Entertainment’s blockbuster Twilight franchise is male interest. Monday’s tracking showed that Interest in Hunger Games among males younger than 25 was a healthy 28 percent, compared to 10 percent for Breaking Dawn. Interest among males over 25 was 20 percent, versus 8 percent for the fourth Twilight film. “These are huge, stupid numbers,” one box-office observer said. Visit The Hollywood Reporter for the full story. Outlook for “The Hunger Games” movie is certainly rosy and we can’t wait to see the numbers for “The Hunger Games” box office sales in USA, locally as well as worldwide!